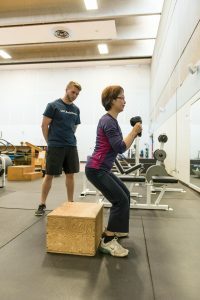 For information about fitness classes hosted at Dunbar, Kerrisdale, and Kitsilano Community Centres please click here. 30 minute review of your health and fitness status will help determine the best starting point for you. Email kin.outreach@ubc.ca or call 604-822-0207 to book an appointment, click here and bring your PAR-Q+ results with you! Stay up-to-date about our programs and learn about evidenced-based information to help you and your family stay healthy and active by signing up for our free newsletter. Stay up to date with our programs and read about health & physical activity.